I am not usually a big fan of large wine competition tastings, preferring to take my time in evaluating a wine. 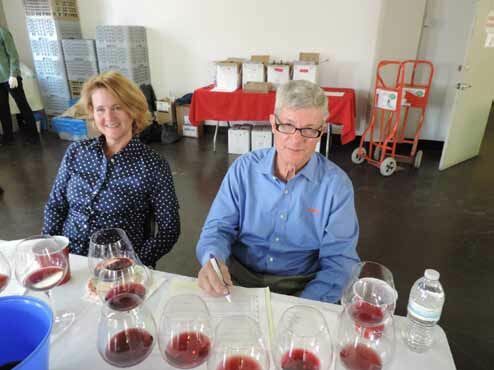 However, the Pinot Noir Shootout, conducted by Barbara Drady of Affairs of the Vine, is unique in that fewer wines are tasted at one sitting, never more than 32 wines a day, allowing more time to devote to fully judging each wine in the competition. 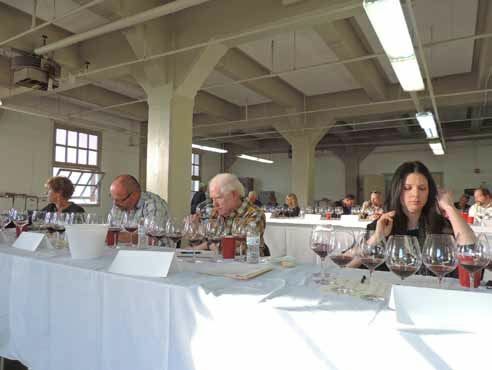 Recently, I attended the Finals of the 12th Annual Pinot Noir Shootout held at Fort Mason in San Francisco. I am serving as Competition Chairman for this event. Before the Shootout, fifty judges, composed of winemakers, wine writers, wine educators, wine consultants, sommeliers and serious wine hobbyists tasted upward of 416 Pinot Noirs from all over the globe in a series of preliminary tastings that lasted three months with each wine being tasted a minimum of twice. The top 96 wines (23% of those submitted) were brought to the Pinot Noir Shootout Final. The 30 judges at the Shootout Final were divided into three teams with each team tasting, analyzing, and scoring 32 wines. Another distinctive feature of this competition is the copious and detailed tasting notes that each judge is ask to submit and used to augment the numerical scores (a 100-point scoring system is used) in choosing the best wines. In addition, gender differences are recorded and posted separately in the results on the Affairs of the Vine website. (1) All wines are tasted blind. (2) All wines are tasted without regard to producer, vintage, appellation or region, or price. (3) All wines are tasted by at least two tasting panels before the finals. (4) Wines rated 90 are above are chosen for the Pinot Noir Summit consumer tasting event (usually 30 to 40 wines). I personally like participating in this competition since a number of the Pinot Noir wines submitted to the Shootout are wines that I have reviewed for the PinotFile. By tasting them blind, I can verify (or not verify) my unblinded judging acumen. 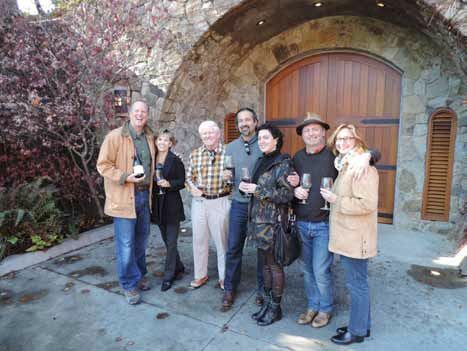 The Pinot Noir Shootout is followed by the Pinot Noir Summit, to be held this year on March 9, 2014, at the Golden Gate Club in The Presidio in San Francisco. At the Summit, the judges’ conclusions are put to the test by the attending consumers who also judge the winners of the Shootout blind. This is the only wine competition in which attendees pit their palates against an expert judging panel. The Summit also includes a Smoked Salmon and Sparkling Wine (Pinot Noir-based Blanc de Noirs and Rosés) Brunch, Pinot Noir Workshops, and a Grand Awards Tasting after which the blind-tasted wines are revealed and the attendees can meet with winemakers. At the concluding Awards Ceremony, medals are giving to the judges and consumers favorites and hors d’oeuvres are served. Tickets will go on sale by January 22 when the website, www.pinotnoirsummit.com, goes live. Early bird discounts are available for three levels of tickets. Barbara Drady has compiled a comprehensive list of the aromatic and flavor elements of Pinot Noir for judges which proves to be a handy reference list to improve tasting acumen and use of descriptors. I have revised her list, expanded it, and I include it here. At home I often refer to the Oregon Wine Press “Making Scents of Wine” Aroma Chart which is not specific to Pinot Noir. It is available as a 12” x 18” poster printed on heavyweight matte paper ($12 plus shipping) at www.newsregister.com. The ¡Salud! Oregon Wine Auction represents a collaboration between Oregon wineries and healthcare professionals to provide access to health care for Oregon’s seasonal vineyard and winery workers and their families. ¡Salud! 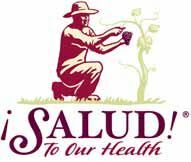 is named for the traditional Spanish, toast, “To your health!” As I am retired physician, this charity is close to my heart. The charity’s major fundraiser is the two-day ¡Salud! Oregon Wine Auction held in the Willamette Valley and Portland, Oregon, in early November each year. 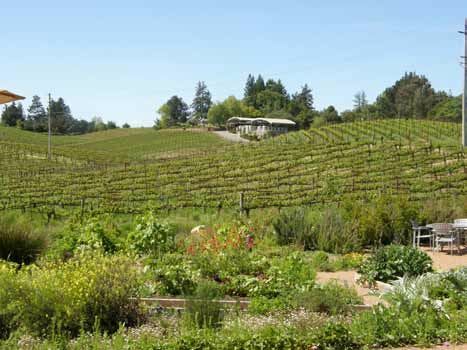 For several years, I have donated a Russian River Valley Immersion Trip for two couples, hosting the auction winners for four days of private, focused winery tours and tastings, meals, and lodging. The 2012 auction winners pictured below from left to right were Christina Isaacson, M.D., Morgan Belford, Paul Sehdev, M.D., and Ann Smith Sehdev, M.D. 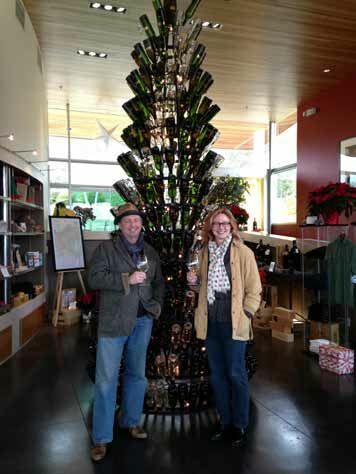 They found joie de vivre for four days in the Russian River Valley December 4-7, 2013, thanks to the generosity of the wineries I called on to host them. The wineries involved included Arista Vineyards, Benovia Winery, Freeman Vineyard & Winery, Kosta-Browne, Lynmar Estate, and Twomey Cellars. All these wineries are very successful, and easily sell out of their wines annually to eager wine enthusiasts, but they generously gave of their time and resources to support ¡Salud!. The charity does not benefit them directly, but the wineries participate as a goodwill nod to others in the wine industry as well as supporting the charity’s goals. 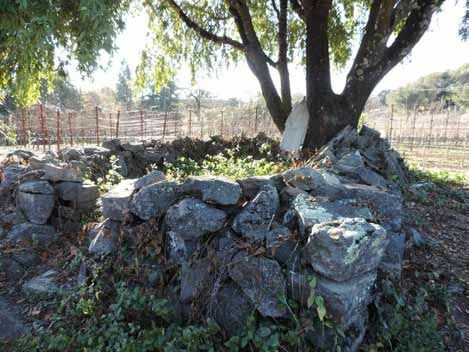 Founded in 2002 by the McWilliams Family, the estate is located on 36 acres along Westside Road adjacent Williams Selyem Winery in the Middle Reach sub-region of the Russian River Valley. Mark McWilliams, who manages the day-to-day operations of the winery and assists with winemaking duties, spent an afternoon with our group. The winery’s four estate vineyards cover 12 acres and are planted to heritage and Dijon clones of Pinot Noir and Chardonnay. 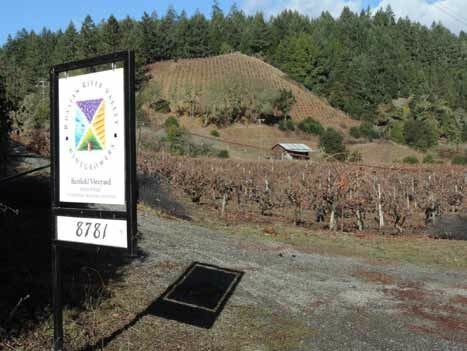 The winery acquired the Martinelli Road Vineyard in Forestville in 2012, planted to 5 acres of 130-year-old Zinfandel and 12 acres of 20+-year-old plantings of PInot Noir and 30+-year-old plantings of Wente Chardonnay (renamed Banfield Estate, see photo below). The estate vineyards are managed by Ulises Valdez. Grapes are also sourced from premium grower partners including Bacigalupi, Toboni, Mononi, Ferrington and Ritchie. The consulting winemaker from 2004 to 2012 was Leslie Sisneros and she established the house style which is one of full-flavored, discreetly concentrated, balanced, and age worthy wines. In January 1, 2013, Matt Courtney joined the winery as the full-time winemaker after spending the previous eight years at Marcassin Winery following his graduation from University of California at Davis. Matt will continue the Arista style going forward. The emphasis is on vineyard-designated Pinot Noir, Chardonnay, Gewürztraminer and Zinfandel. Arista wines are sold exclusively through the tasting room and mailing list. Visit the user-friendly website at www.aristawinery.com. Mark led our group on a tour of the winery’s serene Japanese garden and the estate Pinot Noir vineyards including Harper’s Rest, Two Birds, and Seven Stories. We then settled in at the winery’s comfortable pavilion for an extensive tasting and plenty of banter. The wines were all enjoyable and beautifully crafted. Benovia Winery donated their vineyard hideaway cottage as lodging for the ¡Salud! auction winners. The cottage is located adjacent the 41-acre estate Martaella Vineyard and surrounded by other vineyards. 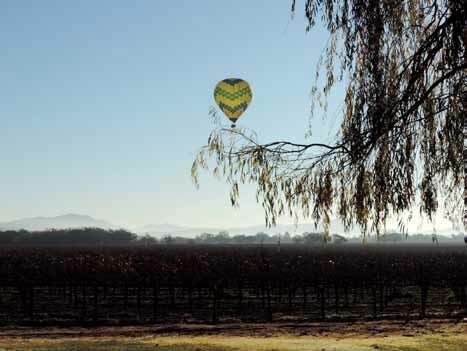 The view from the cottage’s front porch in the morning is striking, with vineyards in the foreground, the typical fog in the distance, and the hot air balloons hovering over the horizon. Benovia Winery’s winemaker, Michael Sullivan (pictured below) crafts outstanding Chardonnay, Pinot Noir and Zinfandel from both estate vineyards and premium fruit sources. The estate vineyards include Martaella Vineyard, located in the Laguna de Santa Rosa region of the Russian River Valley AVA adjacent the winery; Cohn Vineyard located in the western reaches of the Russian River Valley, just outside the AVA; and Falstaff Road Vineyard located in the Sonoma Coast near the town of Freestone. Annual production is about 5,000 cases. The wines are sold primarily through a mailing list and at the tasting room in the hospitality center on the estate (by appointment). Visit www.benoviawinery.com. Our group was guided through a tasting of Benovia wines by the Director of Hospitality, Roger Carrillo, who entertained us with an informative tasting sprinkled with the history of the Russian River Valley. The following wines from the 2011 vintage were tasted and have been reviewed previously in the PinotFile (www.princeofpinot.com/winery/276/). The 2011 La Pommeraie Russian River Chardonnay and Pinot Noir were drinking especially well at this time. Ken and Akiko Freeman started their winery in 2001 and since then have developed a style of Russian River Valley and Sonoma Coast Pinot Noir that appeals to those who savor cool-climate wines with lovely, ripe fruit flavors. The veteran winemaker for many years, Ed Kurtzman, has passed the winemaking duties on to Akiko, and has assumed a consulting posture. The 7-acre Freeman Estate Vineyard (Gloria Vineyard) adjacent the winery will produce a vineyard-designated Pinot Noir for the first time from the 2012 vintage, adding to their portfolio of wines produced from sourced grapes. The winery is built into a hillside cave where Ken and Akiko also hold tastings by appointment. Total production is fewer than 5,000 cases which is sold through a mailing list. 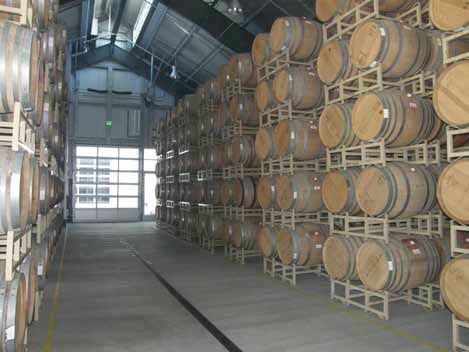 The winery offers a Sonoma Coast and Russian River Valley appellation Pinot Noir, a Keefer Ranch Pinot Noir, and the Akiko’s Cuvée, which is a barrel selection. An excellent Rosé of Pinot Noir and the Rya-fu Russian River Valley Chardonnay complete the lineup. The wines are distributed to selected retailers and restaurants throughout the United States, and several hundred cases are sent to Japan (Akiko’s birthplace) each year. Visit www.freemanwinery.com for more information. The 2011 Freeman wines were reviewed this past year in the PinotFile (www.princeofpinot.com/winery/501/). 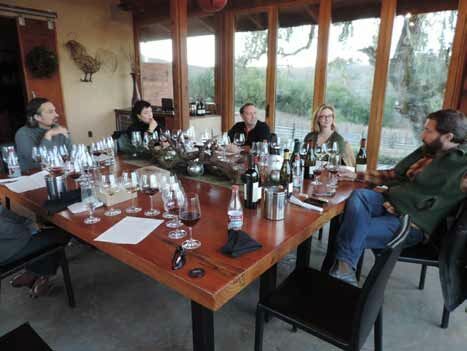 After a tasting of the 2011 wines in the winery cave, our group was invited into the Freemans’ home on the property for a lunch. 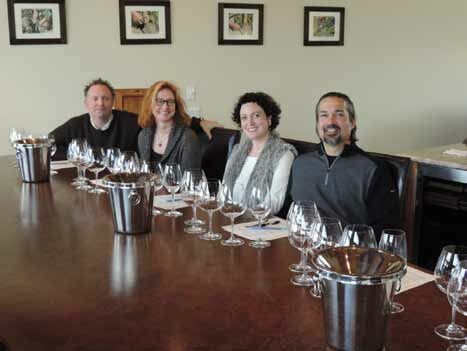 We got a sneak peak at the 2012 Keefer Ranch Pinot Noir which was very special. 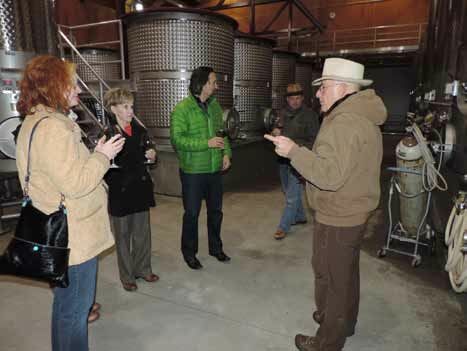 Our group visited the new 40,000-square-foot modern winery that is part of the Barlow complex in downtown Sebastopol. Kosta Browne now produces well over 14,000 cases of Pinot Noir and Chardonnay annually, sourced from premium vineyards in the Russian River Valley, Sonoma Coast and Santa Lucia Highlands. The wines are highly allocated and sold exclusively through a mailing list, with a large waiting list eagerly clamoring for an allocation. In 2013, Kosta Browne acquired a block in the Keefer Ranch, and secured a long-term lease of 37 acres of the Gap’s Crown Vineyard in the Sonoma Coast. Both vineyard acquisitions expand the winery’s evolving estate wine program. Kosta Browne generously contributes a magnum each year to the Russian River Valley Immersion Trip auction package (Kosta Browne large formats are only for charity and are never sold). The new winery does not have a tasting room open to the public because Kosta Browne simply doesn’t have enough unsold wine to pour the public on a daily basis. For further information, or to join the waiting list, visit www.kostabrowne.com. We tasted a couple 2012 Pinot Noirs out of barrel. The Keefer Ranch and Pisoni were impressive even at this young age. A few 2011 Pinot Noirs were sampled as well. The 2011 Pinot Noirs and Chardonnay were reviewed 6 months ago in the PinotFile (www.princeofpinot.com/winery/4/). Winemaker Shane Finley, who joined Lynmar Winery in 2012 as winemaker after several years as an assistant to Michael Browne at Kosta Browne, was under the weather, so the owner of Lynmar, Lynn Fritz, joined our group in a barrel tasting and special luncheon in the winery’s hospitality center. I did an extensive tasting of 2012 wines out of barrel with Shane several months ago (www.princeofpinot.com/article/1382/). Fritz acquired the property in 1980 and named it Quail Hill Ranch. It was a retreat from his busy life as CEO of Fritz Companies, a global logistics organization. Lynmar began a small winemaking activity in the early 1990s, producing small amounts of Pinot Noir and Chardonnay. The wines were well-received, and the reputation of the estate’s wines have continued to rise through the years. Today, Lynmar is an 100-acre property with frontage on the Laguna de Santa Rosa. There are about 70 acres of estate vineyards including Quail Hill and Susanna’s, another family owned vineyard located west of Quail Hill Ranch. Together, the vineyards have 15 clones of Pinot Noir, four clones of Chardonnay and a block of Syrah. The original Quail Hill Estate Vineyard was planted in 1971 so it contains some of the oldest Pinot Noir and Chardonnay vines in the Russian River Valley. The property is strikingly beautiful with a modern, classy visitor’s center and a large organic vegetable and herb garden that is breathtaking. The photos below show the visitor’s center, Quail Hill vineyard with the winery and caves in the distance, and the garden. The beauty of the Lynmar Estate is matched by the superb wines. The winery offers 7 Chardonnays, 14 Pinot Noirs, a Syrah and a Rosé of Pinot Noir. The tasting room is open daily and a full-time chef provides wine and food pairings. The wines are sold primarily through the tasting room, a wine club and a mailing list. For more information, visit www.lynmarestate.com. Two memories still stand out from our visit and lunch. A barrel sample of the 2012 old vine Swan selection Pinot Noir from the Quail Hill vineyard was off the charts good. The pairing at lunch of popcorn scented with truffle oil and the 2011 Lynmar Susanne’s Vineyard Chardonnay was a match that was utterly exhilarating. The happy crew is pictured below including Lynn Fritz, seated at the head of the table. 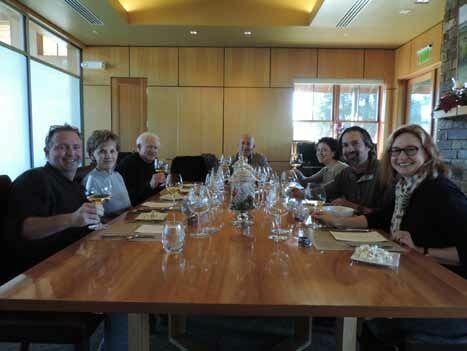 Our gracious host for a winery tour, barrel tasting, bottle tasting and luncheon was veteran winemaker Daniel Baron, the Director of Winemaking for Silver Oak and Twomey Cellars. He is an animated, captivating personality who has over thirty vintages under his belt. Early in his winemaking career, he worked at the legendary Chateau Petrus and later Dominus Estate in Napa. He then crafted award-winning wines with Justin Meyer of Silver Oak Cellars until Justin’s retirement in 2001, when he continued as winemaker at Silver Oak under the leadership of the Duncan family. 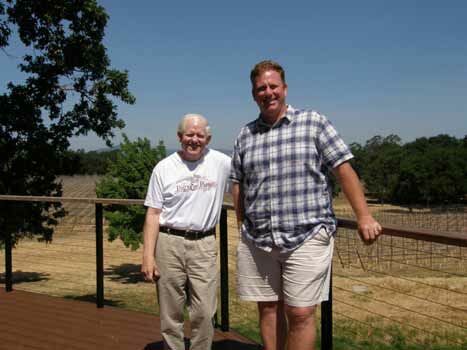 Daniel was instrumental in the creation of Twomey Cellars in 1999, also a Duncan family winery. Twomey Cellars in Healdsburg is in transition as winemaker Ben Cane has departed and a new winemaker will soon be on board. I have been a big fan of Twomey Pinot Noir the past few years as it is styled to emphasize food friendliness. The winery produces appellation Pinot Noirs from Anderson Valley, Sonoma Coast, Russian River Valley and a vineyard-designated Pinot Noir from Bien Nacido Vineyard in Santa Maria Valley. An excellent Napa Valley Sauvignon Blanc rounds out the lineup. The winery’s stylish tasting room has a very informed and friendly staff with views that span the Russian River in a way that is more spectacular than any other winery on Westside Road. The tasting room is open daily. For more information, visit www.twomeycellars.com. Our lunch was prepared by Twomey’s personal chef, Dominic Orsini, and was a highlight of our group’s journey through the Russian River Valley. 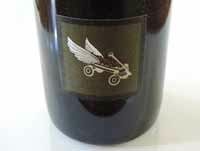 I have reviewed the 2011 Twomey Pinot Noirs at www.princeofpinot.com/ winery/69/. A copy of the menu is below. 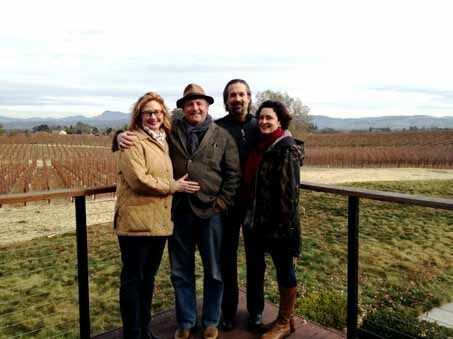 Like so many Oregonian vintners before them, Nick and Sheila Nicholas and their family arrived in the Williamette Valley from California. In 2001, they bought a rundown walnut, filbert and plum orchard in the Chehalem Mountains on the outskirts of Newberg, and established Nicholas Vineyard and Anam Cara Cellars. The 33-acre Nicholas Estate Vineyard is situated on a southeast-facing slope at an elevation of 350 to 650 feet, benefiting from cool, drying winds through the 99W Highway corridor that keeps mildew and frost pressure at a minimum. Soils are primarily Loess wind-blown ice age sediment with some outcroppings of Jory volcanic soil. The original 27 acres planted in 2001 include 5 5-acre blocks of Pommard, 114, 115, 667 and 777 on varying rootstocks, and 1 acre each of Riesling and Gewürztraminer. An additional 6 acres was planted in 2-acre blocks to Riesling, Chardonnay and Wädenswil clone Pinot Noir in 2008. The vineyard is certified both L.I.V.E. (Low Input Viticulture and Enology) and Salmon Safe and the wines qualify for OCSW status. The cool 2011 vintage brought Oregon back to its roots. The Anam Cara wines show the lower alcohol, bright acidity and consuming elegance that made Pinot Noir from Oregon famous. 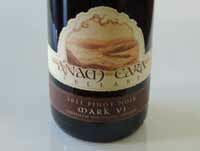 Anam Cara held back the wines before release and this was beneficial as they are more open and mature. 2011 is a vintage where the wines need time to evolve and take on weight, similar to Oregon’s 2007 vintage. I call the Anam Cara Pinot Noirs “quintessential Oregon” because they honestly reflect the Oregon style of Pinot Noir that I find so charming. Sheila’s comments on the 2011 vintage and wines are as follows. “The 2011 vintage was a difficult year to ripen tomatoes, let alone our wine grapes. Fortunately, our vineyard is situated in a wind tunnel which keeps the fruit dry and disease at bay, allowing us extra hang time for flavor development. We pulled leaves early to expose the grapes and we were lucky that the bird problem of 2010 was virtually non existent in 2011. For the first time, we started harvest in the first week of November, wrapping up with the Riesling pick just before Thanksgiving. We would have held out longer, but there comes a point when the grapes are simply not going to progress. We picked at around 21º to 23º Brix. 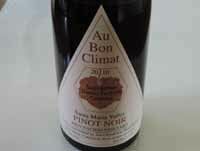 The resulting wines are low in alcohol and high in acidity with pure Pinot Noir flavor profiles. As with previous Pinot Noirs from our vineyard, we still see that entrancing dusty rose character which is solely terroir. As always, our wines remain true to the vineyard and are a testament to Nick’s attention to the vines throughout the growing season, especially in 2011. The winemaker is Michael Collier who oversees the boutique winemaking at 12th & Maple Wine Co. in Dundee. Nick and Sheila significantly contribute as well. As I noted, the wines took a while to come around, much like the wines from the 2007 vintage, and that is why they have only recently been released. The Anam Cara tasting room is located at 306 N. Main Street in Newberg and is open daily from March to December Thursday to Sunday (other times by appointment). Tours of the vineyard in Sherwood are by appointment only. I detailed Hilliard Bruce Vineyards in the Sta. Rita Hills recently in the PinotFile at www.princeofpinot.com/article/1424/. This was my first opportunity to taste the wines in detail and I came away very impressed. 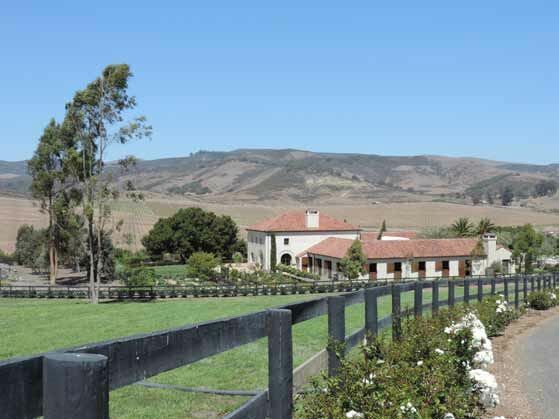 The 101-acre ranch was acquired in 2002 when Christine, a successful Arabian horse breeder, and John, who had just undergone a second kidney transplant, looked to relocate their farm from their native Texas to California. Christine needed a place where she could raise her horses, and John was determined to pursue his dream of establishing a vineyard. The first vines went in the ground in 2004, and the inaugural wines were offered from the 2008 vintage. John and Christine acquired their winemaking skills through courses from the University of California at Davis Extension Program and the Allan Hancock Viticulture and Enology Program, and have had two consulting winemakers, Peter Work (Ampelos) and Paul Lato (Paul Lato Wines). By harvest this year, a new LEED-certified winery will open including a humidity controlled underground cellar and a tasting area. The wines are sold through a mailing list. 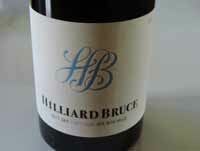 Tours and tasting are available by appointment at www.hilliardbruce.com. 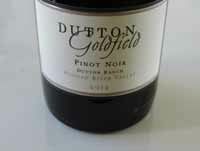 Three 2011 Pinot Noirs reviewed below were stellar. 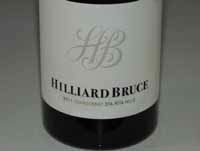 The Hilliard Bruce lineup of Pinot Noirs normally includes Moon, but it was not produced in 2011 due to the cool growing season. It is meant to emphasize darker, riper fruit flavors. The three that were reviewed include Sun (bright, fruit-driven expression of the vineyard), Sky (higher acid profile due to earlier picking), and Earth (the leanest release produced from the earliest picked fruit). The differences between the three wines were very subtle but evident. The Chardonnay is also appealing. It will be of interest to see how these wines change over the subsequent ten years as the vines mature. 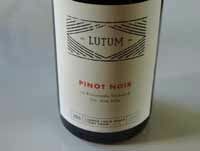 LUTUM, Latin for “dirt” or “soil,” is a new Pinot Noir and Chardonnay label launched by Bill Price, owner of Classic Wines and Price Family Vineyards, and Santa Barbara County winemaker Gavin Chanin. The Lompoc winery’s mission is to craft wines that reflect the terroir of the great vineyards of California. 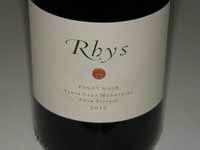 The first wines, reviewed here, were released on November 12, 2013, through a mailing list offering that features small lots of 2011 Durell Vineyard Sonoma Coast Pinot Noir and 2011 La Rinconada Vineyard Sta. Rita Hills Pinot Noir. Additional vineyard sources will be added to the lineup beginning with the 2012 vintage releases, including Bien Nacido, Gap’s Crown and Sanford & Benedict vineyards, as well as Chardonnay. 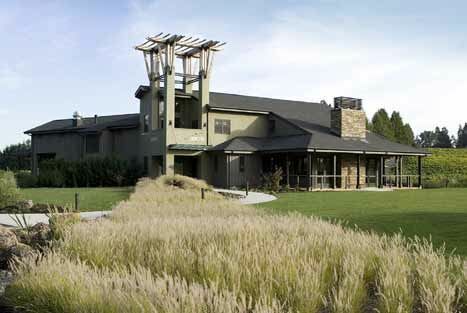 Price owns part of the Durell Vineyard, the Gap’s Crown Vineyard, and ownership interests in Three Sticks, Kistler, Kosta Browne and Gary Farrell wineries. He was so attracted to Gavin’s winemaking talent and style that Price asked him to be a partner in the new winery. Gavin has gained some notoriety for his own label, Chanin Wine Company, producing elegant, restrained, classically styled Pinot Noir and Chardonnay from Santa Barbara County. He prefers to pick grapes early to limit finished alcohol levels and preserve a wine’s expression of terroir. This style grew from tasting the famous wines of Europe from his uncle’s wine collection and one of his winemaker mentors, Jim Clendenen. Gavin’s uncle, Tony, started Zaca Mesa Winery in 1978 along with Jim Clendenen, Bob Lindquist and Adam Tolmach. When Clendenen and Tolmach founded Au Bon Climat, Tony went back to his family’s business and in 1991, Tolmach left Au Bon Climat to start The Ojai Vineyard. Gavin worked his first harvest at Au Bon Climat at age 18 after finishing high school in 2004. In 2009, he graduated Phi Beta Kappa from UCLA with a major in art and began his winemaking career as an assistant at both Qupé and Au Bon Climat. He also has experienced harvest in New Zealand and South Africa. The wines are sold through a mailing list at www.lutumwines.com. The two wines reviewed here definitely have their own distinct style. In tasting them side-by-side with the Hilliard Bruce wines, they offer lower alcohols, less ripeness, less extraction, and plenty of juicy acidity. They are in the Au Bon Climat mold. George Levkoff is a character. He can often be sighted roaming the streets of Healdsburg in shorts regardless of the outside temperature. As a matter of fact, over the last ten years, I have never seen him in a pair of long pants. He prefers lower case for his wine name and for his website. He shuns traditional vintage labeling, designating each vintage with Roman numerals instead of numbers. Until the 2012 vintage, he hand labeled and numbered every bottle, but finally decided to finally forego the numbering. Tech sheets? Forget about it. George’s Pinot Noir is an insider, even cult wine. 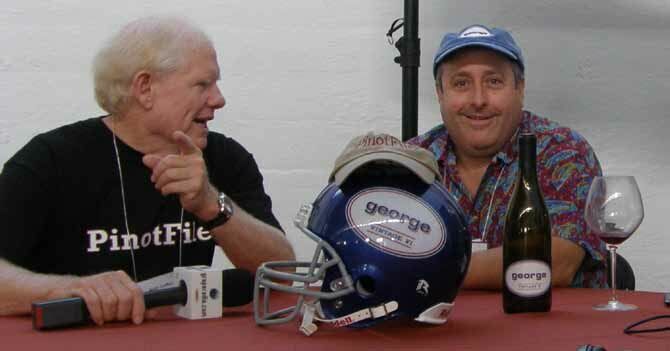 I have sampled every Pinot Noir George has produced going back to the first releases in 2003, and written favorably about the wines multiple times in the PinotFile. Yet, when I travel and am asked about my favorite producers of Pinot Noir, and I mention “George Wine Company,” I usually get a blank stare. Yet, George quickly sells out of his limited production wines and they are a sommelier favorite in the most highly regarded restaurants in Las Vegas and New York (a phenomenal list is on the winery’s website). When I show up with a bottle of George Pinot at a dinner (such as I did on Christmas Eve), the George is always the favorite of the group. George had his wine epiphany when a friend shared a bottle of 1991 and 1992 Williams Selyem Rochioli Vineyard Pinot Noir at a dinner. Four years later, he left his job as a bond trader and headed to the Russian River Valley to learn winemaking at Williams Selyem. He interned at Williams Selyem from 1999 to 2002 and worked at Brogan Cellars. 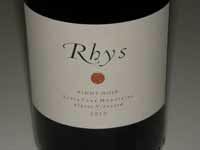 He launched his own label with the 2003 vintage, releasing 150 cases of Pinot Noir from Hirsch Vineyard. His wines are more akin to the pre-1997 Williams Selyem bottlings crafted by Burt Williams. Like Williams Selyem, only Francois Frères oak barrels are used. The wines are unfined and unfiltered. George owns no vineyards and leases space to make wine at Moshin Winery on Westside Road. He is a oneman production show, performing every step of winemaking from sorting to bottling, marketing to delivering. He markets the wines to restaurants himself, traveling frequently when the demand arises. The wines are released once a year in September, and are allocated to an eager mailing list on a first come-first served basis at www.georgewine.com. 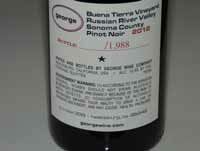 In 2012, there was also a Hansen Vineyard Russian River Valley Pinot Noir ($60), and a Sonoma Coma bottling ($50), a declassified blend of all four vineyard sources. Scott Sisemore is both a winemaker and stay-at-home father working out of leased spice at Domenico Wines in San Carlos, California. He has an impressive winemaking background following his graduation from Oregon State University with a degree in microbiology. From 1993 to 2000, he worked at a custom crush facility in Mendocino County and was involved with the Mark West label. He spent time making wine abroad in both India and Chile. 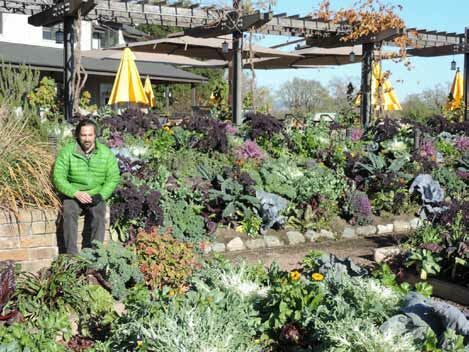 After stints at Rosenblum and Ravenswood, he returned to school and obtained an MS degree in viticulture and enology from University of California at Davis. He then became the assistant winemaker at Pellegrini Family Vineyards in the Russian River Valley where I met him originally. Scott left Pellegrini in 2006 to stay at home with his newborn son. His spouse has a well-paying job for a biotechnology company with good benefits so it made sense for Scott to take over the daily household duties. To keep his professional drive alive, he founded Waxwing Wine Cellars to create very small lot, handcrafted, cool climate Pinot Noir and Syrah. The name Waxwing, is derived from the waxwing migratory bird named for beads of shiny red material on the tips of the secondary wing feathers (“sealing wax”), the function of which is open to speculation. The bird has a propensity for overeating (they have been known to be so gluttonous as to be unable to fly) and constant chatter. The inaugural Waxwing wine, the 2007 Toboni Vineyard Russian River Valley Pinot Noir was released in early 2009. Since then, Scott has acquired other fruit sources from the Sonoma Coast and Santa Cruz Mountains appellations. 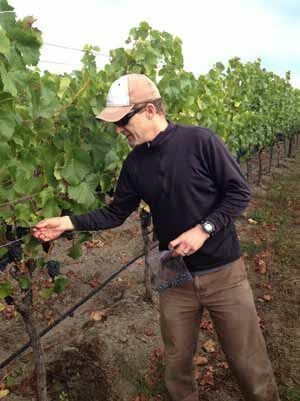 Photo below shows Scott sampling Swan selection at Spring Hill Vineyard on September 2, 2013. Scott told me that his winery has landed a number of distribution deals and new restaurant placements (Michael Mina, RN74 and Bourbon Steak) in 2013. Since his two sons are in school full time now, he is able to concentrate more on winemaking. He is renting his own production space on the San Francisco peninsula and acquiring his own winemaking equipment, both of which will give him more control. Two vineyard designated Pinot Noirs are offered from the 2012 vintage. He has been sourcing grapes from Spring Hill Vineyard in the Petaluma Gap for four vintages and released his first Lester Family Vineyard Pinot Noir from the Santa Cruz Mountains in 2012. 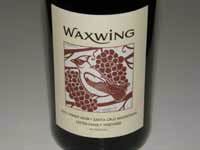 Waxwing wines are available from the website and through the winery’s mailing list and wine club. There is limited retail distribution in California. Tasting is by appointment: 415-902-3468. Kristie Tacey was initially on a career path in biotechnology and in 2000 worked on the Human Genome Project. While living in the San Francisco Bay area, she developed at interest in wine and winemaking. After working as an assistant winemaker at the former Lost Canyon Winery in Oakland and later as part of the winemaking team at JC Cellars, she started her own label in 2009. She now is a Certified Specialist in Wine (CSW) and is an accomplished winemaker exhibiting a touch with Pinot Noir. I was impressed by both the 2010 and 2011 Russian River Valley Pinot Noirs, and the 2012 offerings march in step. 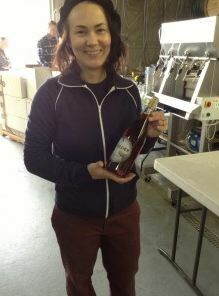 In 2012, Kristie added a Santa Cruz Mountains bottling. She also crafts a Russian River Valley Viognier from Saralee’s Vineyard and a Rosé of Grenache from Fenaughty Vineyard in the El Dorado area. A Morelli Lane Pinot Noir from the Russian River Valley was added in 2013. 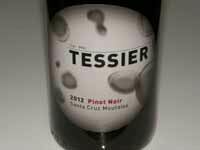 Tessier wines are available through the winery’s website at www.tessierwinery.com, with limited retail and restaurant distribution in the San Francisco Bay area. Tasting is by appointment. Kristie often pours the wines at Cuvée Wine Cellars in San Carlos (visit the website for dates). Pinot Days New York City Pinot Days returns to New York City after a hiatus of five years. The event will be held at City Winery on Saturday, January 18 with both a trade and public tasting. Nearly 50 wineries will be participating. Visit www.pinotdays.com for tickets and information. 2013 Burgundy-Report. Bill Nanson presents well over 500 wine notes and profiles of nine new domaines with multiple tastings in his autumn 2013 issue of the Burgundy-Report. Nanson knows his stuff when it comes to Burgundy and the Report is completely independent of the wine trade. He also is the author of The Finest Wines of Burgundy, already in its 2nd edition and translated into Japanese and Chinese. The Burgundy-Report is free. Visit www.burgundy-report.com. Sommelier Journal to be Revived Publisher and Executive Editor and Owner of TPM Custom Publishing, Meridith May, has announced the acquisition of Sommelier Journal (www.SommelierJournal.com). The journal suspended operations as of October 25, 2013, but is now rebranded as The SOMM Journal. The new editorial board will include renowned wine writers, sommeliers and wine authorities, including Anthony Dias Blue as Editor-in-Chief. Sommelier Journal founder, David Vogels, will act as Consulting Editor. The new format will include more coverage of artisan spirits, coffee, tea and food trends. The first issue will be published in the spring of 2014. Although this is primarily a hospitality industry publication, I have read a number of informative articles in the past and would encourage serious wine hobbyists to take a look. State of Pinot Noir in New Zealand Jamie Goode has written an intriguing article in Wine & Spirits (February 2014) titled “Age before Beauty: New Zealand’s Pinot Noir Challenge.” He points out that Pinot Noir vines in many locations are now over ten years old, a critical time since most experts agree that older vines produce wines that speak more of place rather than primarily of fruit. Several advantages of older vines are noted: (1) A mature root system reaches down into the subsoil or bedrock and can express the terroir more effectively; (2) Older vines have larger carbohydrate reserves in the trunk and root system that ensure a better start to the growing system; (3) Older Vines have a better natural balance with modest vigor in the canopy and modest crop levels. The biggest threat to New Zealand Pinot Noir is the grape leafroll virus which can require replanting vineyards just when they are beginning to reach maturity. Steve Smith said, “It’s (grape leafroll virus) the greatest threat to New Zealand making wines from old vines, especially for red wines.” Grapevine leafroll virus is spread through vineyards by insect vectors, mainly mealybugs. The infected vines produce low-quality wines, yields are significantly reduced, maturation of fruit is delayed, and the life span of the vine is reduced. Once a vine is affected, there is no cure. Almonds Replacing Grapevines in California Ciatti Co. reported in www.bloomberg.com that grapevines in California are being ripped out as drought is forcing farmers to switch to more profitable and higher yielding crops such as almonds. It is estimated that 15,000 to 20,000 acres of vines are expected to be pulled out. According to the Los Angeles Times (January 12, 2014), California produces 82% of the globe’s almonds harvested from 800,000 acres in the San Joaquin Valley. Water is a big challenge for almond growers as well, particularly since California experienced its worst drought in 90 years between January and May 2013. Oregon Wine Press 2014 Almanac Subscribers to Oregon Wine Press received this annual publication which summarizes the previous year in review, plus offers a directory of Oregon wineries, festivals, lodging, retail, restaurant and industry listings. A to Z/Rex Hill and King Estate Winery remain the top wineries by production in 2013, with an estimated case output of 298,000 and 268,000 respectively. The number of Oregon wineries is now 545, a 17.7% increase over 2011. The total number of vineyards was 905 in 2012 compared to 870 the previous year. Pinot Noir tonnage in 2012 was 28,565 tons compared to 23,762 tons in 2011, an increase of 20.9 percent. Subscribe at www.oregonwinepress.com. 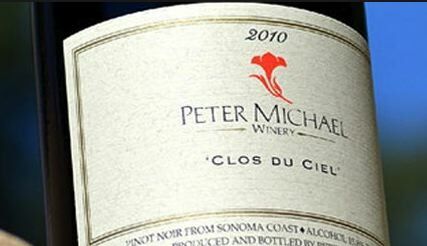 Parker Finds Perfection in Peter Michael Pinot Noir In the latest Wine Advocate, Robert Parker, Jr., gave 8 Sonoma Coast Pinot Noir wines from the 2009 to 2012 vintages produced by Peter Michael scores of 98 or more with three receiving a perfect score of 100. Parker described the 2010 Clos du Ciel ($171) as “a dead ringer for the 1990 DRC La Tache. This could be a game-changing Pinot Noir that sets the wine world upside down given its spectacular quality.” Parker also called the 2010 Ma Danseuse “one of the greatest Pinots I have ever tasted....anywhere.” Over the years Parker has awarded 100 points to 297 wines. 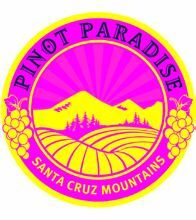 10th Anniversary Pinot Paradise 2014 The Santa Cruz Mountains Winegrowers Association just announced the 10th Annual Pinot Paradise festival will be held on April 11-13, 2014. The event has been moved to the historic Mountain Winery in Saratoga, a fine venue for this festival. Events include local winemaker dinners, a technical session (A Return to Paradise: Wine Making in a Mountain Terroir), a Meet the Winemaker VIP reception, the Pathway to Pinot Paradise self-guided winery tour of more than 30 wineries, and the Grand Cruz Wine and Food tasting. 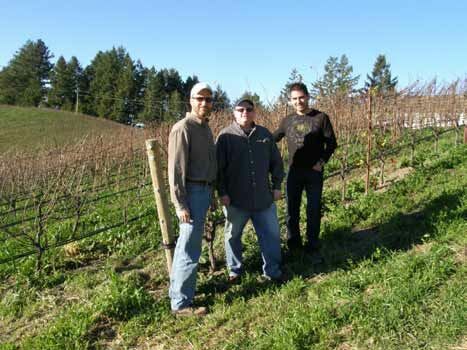 The Santa Cruz Mountain Winegrowers Association is an alliance of more than 70 wineries promoting wines produced from the Santa Cruz Mountains Viticultural AVA. For more information and tickets, visit www.scmwa.com. Large Grape Crops in 2013 Wines & Vines (December 2013) reported that the total wine grape crop in 2013 could exceed 4 million tons supplying 3,579 wineries. (The 2012 official California Grape Crush Report found the total crop to be 4.01 million tons from 546,000 acres of grapes). 2013 appeared to be a vintage year for California as well with widespread harvest of exceptional quality wine grapes.The Oregon Wine Board expects Oregon’s harvest to reach or exceed the record tonnage of 40,200 from the state’s 20,000 acres in 2012. The quality of Oregon’s 2013 vintage is still to be determined because of the record downpour in late September. Movie “Red Obsession: When red became more valuable than gold” A new documentary narrated by Russell Crowe explores the Bordeaux winemaking region of France including its history, its effect on the global economy, counterfeit wine markets, Chinese oenophiles, and the challenges facing the area. There are multiple interviews with wine journalists and chateaux owners. The movie has been very well received by critics, receiving a rating of 95% from Rotten Tomatoes. Available on DVD. Westchester Wine School Brings French Wine Scholar Program to NYC The French Wine Scholar Study and Certification Program is the most comprehensive and accurate program on French wines, providing current, accurate and in-depth information on the wines and wine regions of France. Developed and administrated by the French Wine Society with the support of the French Ministry of Agriculture, this program is designed for advanced students of wine, whether professionals or serious wine hobbyists. Students of wine who follow this in-depth curriculum and pass the exam earn the French Wine Scholar (FWS) title and can use the FWS post-nominal as part of their professional signatures. The first session will launch February 4, 2014 and continue on ten Tuesdays ending with an exam on June 10. Tuition is $1200 and includes 30 hours of classroom instruction with tutored tasting of over 50 French wines, a 280-page FWS study manual, one-year access to the FWS online study program plus exam registration/sit. For more information, contact Ned Towle via email at nedtowle@westchesterwineschool.com or call 917-921-6268. More information is also available at www.westchesterwineschool.com/frenchscholar.html. Unusual Pinot Noir Bottle Sighting My neighbor recently returned from Germany and brought back this unusual bottle of Spätburgunder. It reminded my of the old Mateus bottle. A light, elegant, and pleasant drink. 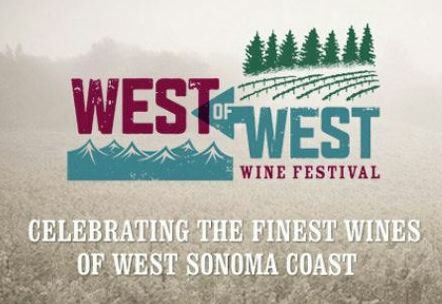 MARK YOUR CALENDAR: WOW Orange County 2014 I have been working with Orange Coast Magazine and the West Sonoma County Vintners to bring the West of West (WOW) Festival to Orange County November 8, 2014. WOW has been held annually in Sebastopol, and has reached out for events in New York (2013) and Chicago (April 9, 2014). Orange Coast Magazine is the premier local lifestyle magazine of Orange County, California, bringing together Southern California’s most affluent coastal communities. The magazine debuted “The Wine Dudes” no-nonsense wine blog in 2013 written by Rusty Gaffney and Eric Anderson. The event will be held in The Grand Terrace, Honda Centers all-new 10,000-square-foot indoor and outdoor venue and will include a morning VIP Special Event, “The Sommelier Challenge,” and a Wine Tasting Festival in the afternoon featuring extraordinary Pinot Noir producers such as Failla Wines, Joseph Phelps Vineyards, Littorai, Siduri, Benovia, Flowers, Freeman, Hirsch, MacPhail, Martinelli, Soliste, and Patz & Hall. A website for the event will be forthcoming by May. 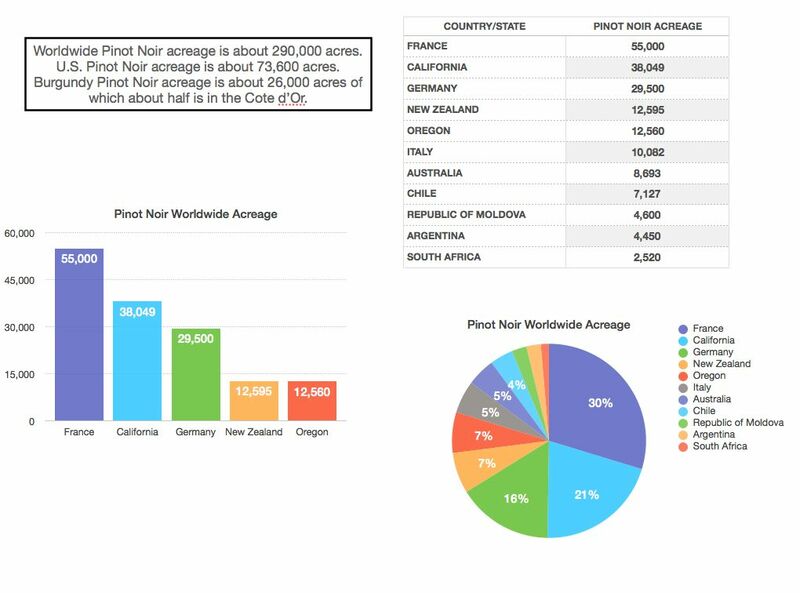 Accurate and up-to-date statistics on Pinot Noir plantings are not easy to come by. 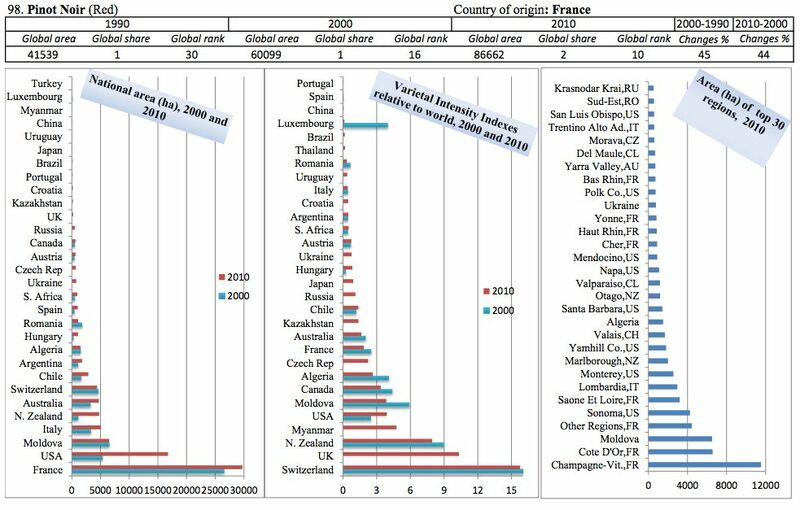 Here are some of the latest figures I was able to discover including data from The Wine Economics Research Center at The University of Adelaide that released the database of global wine grape bearing areas by variety in 2010. Acreage reporting in California is voluntary so the data is not extremely accurate and reported new planting acreage is not in line with nursery sales of vines. The first charts be low are ones I compiled from the most recent data I could obtain. The second charts are from The University of Adelaide. Their data shows the Republic of Moldova to be the third largest grower in national area of Pinot Noir in the world in 2010. 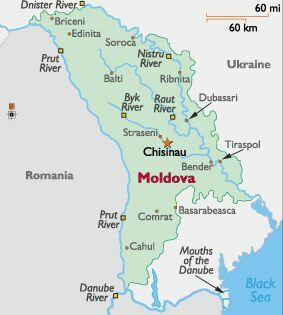 For those who have no clue where Moldova is, there is a map below. For the full database visit the website: www.adelaide.edu.au/wine-econ/databases/ winegrapes/. An e-book can be freely downloaded: www.adelaide.edu.au/press/titles/winegrapes. 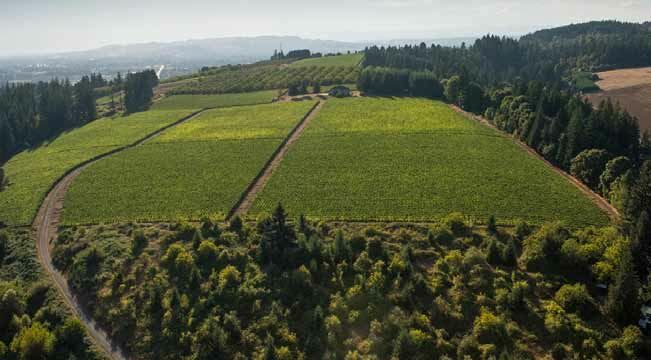 For Oregon’s Willamette Valley: Chehalem Mountains - 1,600 acres, Ribbon Ridge - 500 acres, Dundee Hills - 1,700 acres, Yamhill-Carlton District - 1,200 acres, Eola-Amity Hills - 1,300 acres, and McMinnville - 600 acres.